Review and information about SAMSUNG GALAXY NOTE 9 which have 6.4 inches LCD screen with special S-Pen stylus features to write almost anything at the screen. Some users maybe feel that SAMSUNG GALAXY NOTE 9 body is too big, but if we want to have note features at smartphone to replace books, then maybe this size still ideal for this kind of users. SAMSUNG GALAXY NOTE 9 have 1440 x 2960 pixels screen resolutions with 18.5:9 aspect ratio size. Please note, we are not saying that SAMSUNG GALAXY NOTE 9 totally bad, but we will give balance information base on our own point of view. If you have more info, please use comment bellow to share with others. SAMSUNG GALAXY NOTE 9 have 6.4″ LCD screen with curve design at the edge. This phone does not have notch at top screen. LCD screen use Super AMOLED from Samsung own manufacture, which already protected by Corning Gorilla Glass version 5, therefore we do not need to give any additional film / tempered glass protections for standard activity. The body of SAMSUNG GALAXY NOTE9 design with solid metal. At the left side of body, we can find Bixby button for some Samsung features. At right side of body we can find volume button and power button. At back side of body there are 2 lens camera located at top middle with LED light flash. The front body available front selfie with single lens. At the bottom side of the body, we can find 3.5 mm headphone jack, USB-C data / charger port, S-Pen active stylus and speakers. The S-Pen at SAMSUNG GALAXY NOTE 9 has improvement. This is active stylus, but the stylus does not have battery. It use simple power capacitor to power S-Pen activity. We need to charge the capacitor power about 40 seconds, after that we can use this S-Pen stylus for about 30 minutes continuously. Do not worry when the capacitor power at S-Pen stylus empty, because we only need to put again the S-Pen to the SAMSUNG GALAXY NOTE9 body then after 40 second, we can use it again with full features. Please note, although the power at S-Pen stylus is totally empty, we still can use the S-Pen for standard activity like writing or selecting at the screen. When the first time release in the market, SAMSUNG GALAXY NOTE9 use Android Oreo 8.1 operating system. Of course this operating system already tweaked for Note facilities to make S-Pen Stylus can work with several apps inside this phone. DeX is one important features inside this phone, we can connect our SAMSUNG GALAXY NOTE9 phone to HDMI using USB-C port at the bottom body. Please note this is different with mirroring screen, because what we can get from DeX connectivity are full screen desktop optimized. Therefore we can see all icon will be place such as using computer desktop and some other optimized facilities from this feature. Samsung also have Bixby button to trigger apps like Samsung voice assistant. This is Bixby version 2.0 which have some improvement if compare with Samsung Galaxy Note8 performance although it may need some improvement if comparing with Siri or Google Assistance performance. Samsung use Exynos 9810 Octa-core 4 x 2.7 GHz Mongoose M3 & 4 x 1.8 GHz Cortex-A55 and Qualcomm SDM845 Snapdragon 845 Octa-core 4 x 2.8 GHz Kryo 385 Gold & 4 x 1.7 GHz Kryo 385 Silver depend on country release. This Exynos is 10nm FinFET Process (2nd generation) with LPDDR4x and 4K video recording capabilities, while Qualcomm also use 10nm Process (2nd generation). Both processor are 64 bit which can run more then 4 GB RAM for multitasking. All processor are use for high-end smartphone with faster process and lower power consumption. We can choose to have 128 GB or 512 GB internal memory. If we want to have cheaper prices, then choose 128 GB internal memory. Do not worry if we want to add more storage, because we can use external MicroSD maximum 512 GB which use sim 2 slot. One good advantages of SAMSUNG GALAXY NOTE9 is big battery. Although the SAMSUNG GALAXY NOTE9 battery is not removable, but having 4000 mAh battery capacity are really good enough to work with this phone full one day. If we want to charge, we can use USB-C port at bottom of the body, but the drawback of the charger still use Quick Charge version 2.0. More good features at this phone is support Qi/PMA wireless charging at specific country. This phone have dual camera at rear body, it work as 12 megapixel with aperture number f/1.5-2.4 for wide angle 26mm and the other camera have 12 megapixel with aperture number f/2.4 for tele photo at 52mm, both sensor have Optical Image Stabilisator (OIS).The aperture number for wide angle will work automatically to choose whether use f/1.5 or f/2.4 depend on the object, but manual mode also available to choose the aperture number. Front camera have 8 megapixel with aperture number f/1.7 to take more bright pictures at low light situations. This phone can record video at 2160p@60fps 4K. Samsung camera produce good result photo because SAMSUNG GALAXY NOTE9 can have better noise reduction. 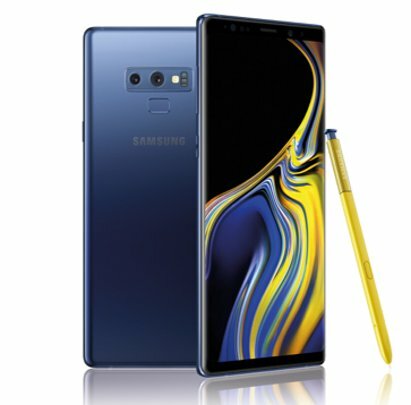 Is SAMSUNG GALAXY NOTE9 Worth To Buy ? If we are really need to replace offline notebook with smartphone and of course have enough budget, then having SAMSUNG GALAXY NOTE 9 is worth to buy. This is flagship smartphone at Samsung Galaxy Note family. We can have big internal memory start from 128 GB and 512 GB if we need more storage. This phone also still have ability to extend the storage using MicroSD maximum 512 GB. Good camera result and 4K video recording also interesting features at this phone. Please consider some strength and weakness of SAMSUNG GALAXY NOTE9 above to make sure what we need before buy this phone. This article is talking about disadvantages of samsung note 9. You can find other topic at our related post bellow.